Winter's Touch - Xunaira J. 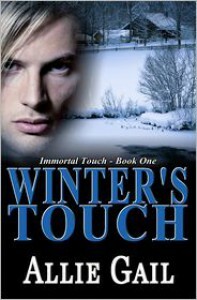 A well-constructed plot with the right kinds of twists and turns, Winter’s Touch had me gripped and captivated from the first page. As the story unfolded from the childhood of Evangeline Spencer who has a rather peculiar neighbour, the little girl wins our hearts with her inquisitive nature and innocence.